Supreme Court has made bankruptcy code the RBI’s second option for resolving bad loans, and abandoned the long-held ‘expert body doctrine’ in jurisprudence. The Supreme Court last week declared void the RBI circular of 12 February 2018 on the resolution of stressed assets. The circular had brought in sweeping changes to the regulatory framework for banks dealing with defaulted loans. The judgment has two effects. It once again makes the RBI policy of requiring banks to use the Insolvency and Bankruptcy Code (IBC) the “second” method for resolving bad loans. The judgment also signals a retreat from a long-held doctrine in Indian law: The “expert body doctrine”. The Reserve Bank had pointed out that the lack of modern bankruptcy legislation in India affected recovery of loans. A search for news from 2011 to 2014 throws up multiple articles about how India needs to revamp its bankruptcy laws. The IBC is an attempt to provide a modern resolution and bankruptcy law. It was met with widespread support from the regulator. However, it seemed that the banking industry, dominated by the public sector, was not so enthusiastic about using the new powers under the law. On 4 May 2017, the government issued an ordinance to correct this problem. The Banking Regulation (Amendment) Ordinance of 2017 set up an interesting legal structure. It introduced two provisions to the Banking Regulation Act, 1949: Sections 35AA and 35AB. Section 35AA empowered the government to authorise the RBI to direct any banking company to initiate the IBC in respect of “a default”. Legislation usually sees the entire government machinery as a single system. Regulators are usually delegated powers by parliamentary law itself; in other aspects, the RBI has the powers under banking laws to instruct banks. In this case, the RBI could not act until the government “authorised” it to do so. The government authorised the RBI to “direct” banking companies right after making the amendment. The second provision of the ordinance (Section 35AB) allowed the RBI to issue directions to banking companies to resolve stressed assets. It also allowed RBI to set up authorities or committees to advise banking companies on stressed asset resolution. The ordinance would later be replaced by legislation with the same effect. Following the government authorisation under Section 35AA, the RBI set up a committee to identify stressed assets. In June 2017, the RBI issued a list of the 12 largest loan accounts in default. The banks were required to start proceedings under the IBC. 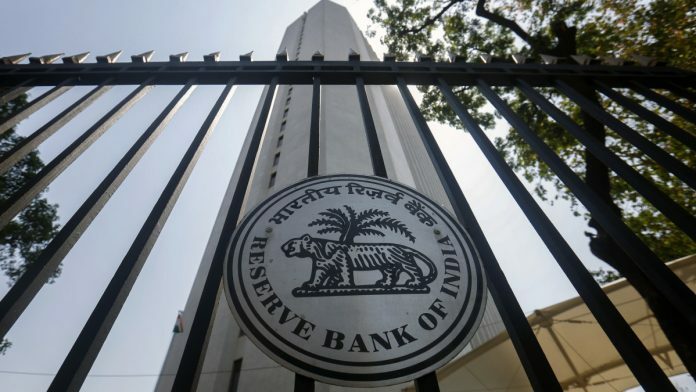 On 12 February 2018, the RBI came out with a new circular with four features. It changed the way risky loans were classified for book-keeping purposes of the bank. A new resolution framework (outside the IBC) was laid out, to be used by banks ‘before’ triggering the IBC. Banks had to trigger IBC if the loans were not restructured within a deadline. Finally, the previous mechanisms that the RBI had created before the IBC was enacted were withdrawn. The mechanisms, namely the Joint Lender’s Forum, Corporate Debt Restructuring, Scheme for Sustainable Structuring of Stressed Asset, and Strategic Debt Restructuring had been criticised for being too easy on borrowers. The schemes allowed for “ever-greening” of loans — where the banks would pour more money in a company which had already defaulted — and were generally considered to be poorly designed. The effect of the RBI circular fell disproportionately on the thermal power sector. The power producers approached the court (along with others) challenging the circular. The power sector has some legitimate grounds for the high levels of defaulted loans. Some of the blame for the failure to repay loans was due to government actions/inactions, like the electricity regulatory commissions not updating the price of electricity, change in government policy on coal supply, failure to execute power purchase agreements, and the non-payment of dues by state electricity distribution companies. The advocates for the power distribution companies raised multiple challenges to the law, which included challenging the constitutional validity of Sections 35AA and 35AB and validity of the RBI circular. The court decided the case by upholding the validity of Sections 35AA and 35AB, but declared the RBI circular of 12 February 2018 void. The court stated that while the June 2017 decision by RBI to identify 12 largest loans was valid, the same could not be said about the 12 February circular. As per the scheme of Section 35AA, the RBI could issue directions to banks only if the government had asked it to do so in respect of specific defaults. The Supreme Court ruled that without specific directions from the government, RBI could not direct banks to drag borrowers through the IBC process. Interestingly, the court pointed out that while RBI had general powers to direct banks to take actions, the enactment of Section 35AA may have ‘curtailed’ it. This is against the reasoning that Sections 35AA and 35AB had been brought in to ‘increase’ the power of RBI. The court relied on a legal principle called the ‘Taylor rule’. The rule states that once the legislature has legislated on a topic, and the legislation lays down how a government organisation will exercise power, such power can now be exercised only in the way laid down in the legislation. Before Section 35AA was introduced, RBI may have had the power to instruct banks to initiate proceedings under IBC. However, now that the Parliament has laid down a procedure for initiating IBC, the RBI is bound by that procedure, and cannot act without the approval of the government. The judgment has two consequences: In finance and jurisprudence. The Supreme Court has set aside the entire RBI circular of 12 February. This means, not only is the RBI prohibited from instructing banks to take cases to the IBC, but the older debt restructuring schemes like Corporate Debt Restructuring, Joint Lenders Forum are now revived. This creates new opportunities for banks and borrowers to ‘ever-green’ their loans. On a broader economic level, the need for this circular points to a deeper problem in the banking sector. It questions the assertion made by the RBI and others that the banking sector was in trouble because India did not have a modern bankruptcy law. Today, that is not true. So why don’t banks want to use the system? Why does it need coercion from the government and the regulator to get banks to take steps to recover loans? Maybe, the problem lies in the way banking regulation is carried out in India. Valuation of defaulted loans in Indian banking regulation is obsolete. The regulator and government have repeatedly delayed the implementation of modern banking standards in India. The new standards would have required banks to recognise defaults earlier than the present rule of 90 days delay. They would also require banks to value collateral in defaulted loans in a realistic manner, as against the present system of arbitrary percentages. If the value of collateral in the books of the banks is higher than the real price, then banks have no incentive of using the bankruptcy system to recover loans. If the company is sold at market value, the banks would have to write-off more equity and present to the market a “true and fair” picture of their performance. There is some indication that this may be happening. The repeated failure of auctions for various properties of Kingfisher like the headquarters is an indicator. However, since the RBI does not provide public statistics about collateral by banks, it is difficult to determine this. The other effect of this judgment is on the jurisprudence of ‘expert body doctrine’. For many years, Indian courts have stayed away from taking a hard look at the legality or propriety of actions of regulators. The courts have given two reasons for this. The courts think that ‘experts’, like statutory regulators, know what is best for the sector and courts should not interfere in their decision. Moreover, that the executive should be given a broader leeway in economic matters than what is given in terms of civil, political and social rights. The Supreme Court seems to have shifted from this position of the ‘expert body doctrine’, and this is the second example. In ‘Cellular Operators Association v. Telecom Regulatory Authority’, three years ago, the Supreme Court set aside regulations by India’s telecom regulator penalising telecom companies for dropped calls. The court found that the regulator had neither responded to the comments on the draft regulations nor established from data that all call drops were attributable to telecom companies. The court seems to be more willing to look into the functioning of regulators and not accepting the regulator’s arguments. The Supreme Court’s change of stance is appropriate, given that we are moving towards a regulatory state and more sectors of the economy are governed by unelected regulators rather than parliamentary legislation with constitutional validity. The Kotak Mahindra Case may be the next test for regulators. The RBI is being challenged on its regulations requiring promoters to dilute shareholding in private sector banks. As per reports, the regulator has stated that if the court interferes in the regulation, it will harm the autonomy of the regulator. Given the last two judgments of the Supreme Court, the argument may not hold much water in court. It is time for regulators to recognise that as part of a constitutional republic, they too are bound by the law and must invest in ensuring that their actions pass legal muster on ‘merits’ and ‘procedure’. Shubho Roy is a consultant at NIPFP. The views expressed by the authors are personal.